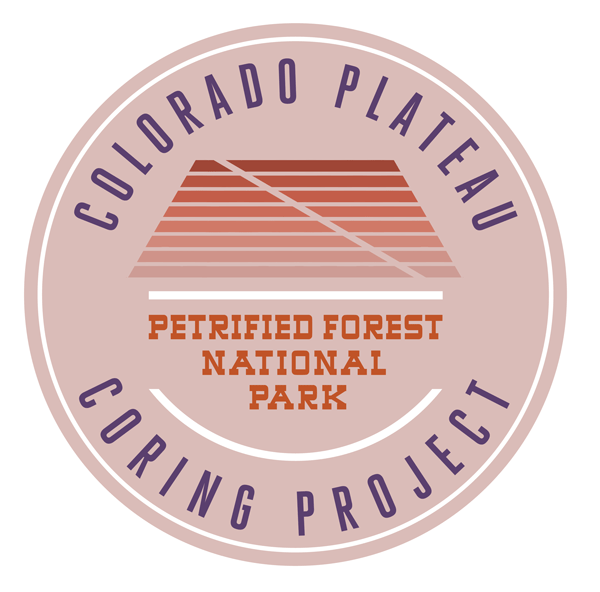 The Colorado Plateau Coring Project-1 recovered ~ 850 m of core in three holes at two sites in the Triassic fluvial strata of Petrified Forest National Park, AZ, USA. The cores have abundant zircon, U-Pb dateable layers (210–241 Ma) that along with magnetic polarity stratigraphy, validate the eastern US-based Newark-Hartford astrochronology and timescale, while also providing temporal and environmental context for the vast geological archives of the Triassic of western North America. In 2016 an international scientific expedition drilled a 1.3 km deep hole to explore the Chicxulub impact crater, buried below the surface of the Yucatán shelf (Mexico). This crater is linked to the End-Cretaceous mass extinction. Downhole logs have been acquired in the hole, providing several key parameters characterizing the geology of the crater. However, few of the data recorded may be artifacts and should not be misinterpreted as real geological features. They are discussed in this study. 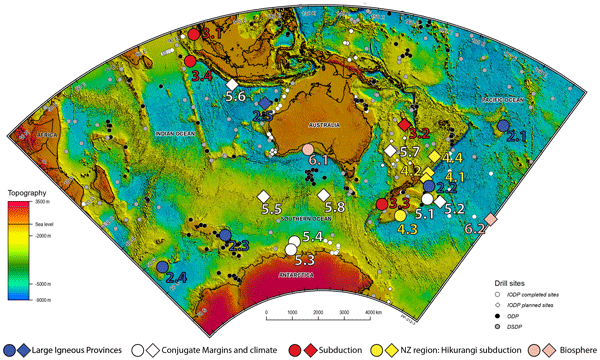 Subduction zones can potentially generate disastrous earthquakes and tsunamis in populated coastal areas. 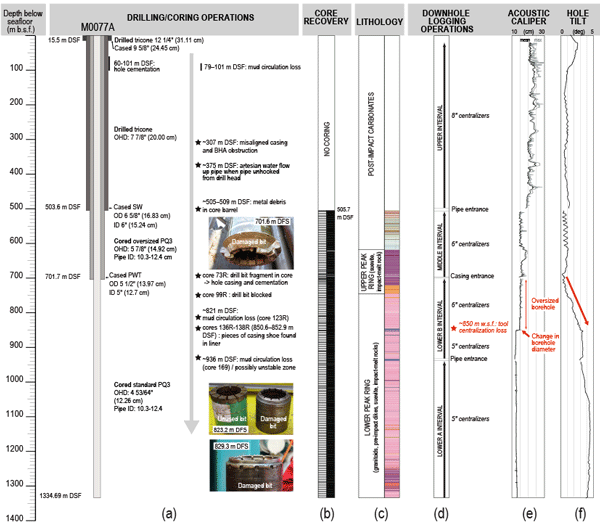 This report summarizes the research activity of a team of 14 early-career scientists who met during IODP Expedition 380 onboard D/V Chikyu (January–February 2018). 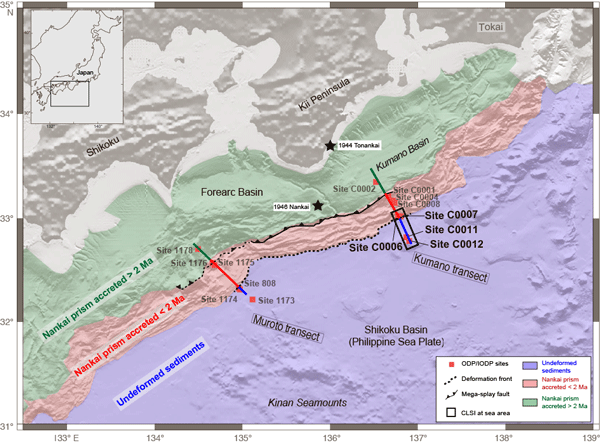 The goal of this Core-Log-Seismic Integration at Sea workshop was to leverage IODP archives to address the mechanisms of tsunamigenic earthquakes at one of the most active subduction zones offshore southwestern Japan. A new annually resolvable sedimentary record of southern hemisphere climate has been recovered from Lake Ohau, South Island, New Zealand. 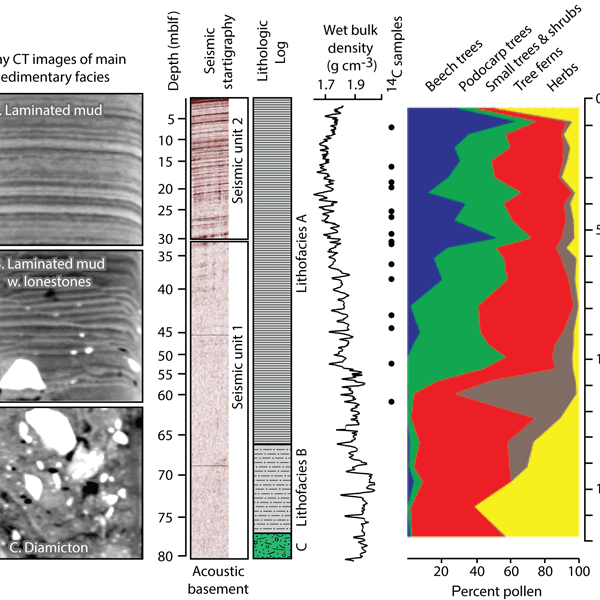 The Lake Ohau Climate History (LOCH) Project acquired cores from two sites that preserve an 80 m thick sequence of laminated mud that accumulated since the lake formed ~ 17 000 years ago. Cores were recovered using a purpose-built barge and drilling system designed to recover soft sediment from relatively thick sedimentary sequences at water depths up to 100 m.
In this paper, we summarize the central points of the Nagoya Protocol on access and benefit-sharing arising from the utilization of genetic resources and discuss how it relates to ocean drilling research. We also address the challenges faced by ocean drilling in complying with this international convention. We hope this article will help principal investigators, researchers and also science operators to acquire the knowledge to smoothly manage drilling programs for deep biosphere research. 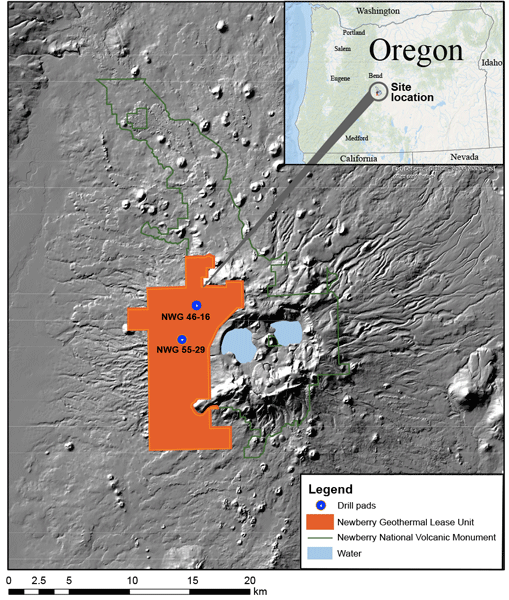 The Newberry Deep Drilling Project (NDDP) will be located on the Newberry Volcano, Oregon, USA, at an idle geothermal exploration well, NWG 46-16, drilled in 2008, 3500 m deep and 340–374 °C at bottom, which will be deepened another 1000 to 1300 m to reach 500 °C. The main goals are to test EGS in the ductile/brittle transition zone and to test technology for drilling, well completion, and geophysical monitoring in a very high temperature environment. This brief paper reports on a workshop held last September in Shanghai to promote global monsoon research in the paleoclimate community. In the framework of the international ocean drilling program, seven expeditions have been completed within the last years to recover long-term records of the global monsoon, and forty-eight scientists from 12 countries exchanged scientific findings based on the expeditions. The workshop came up with four recommendations for the future ocean drillings.